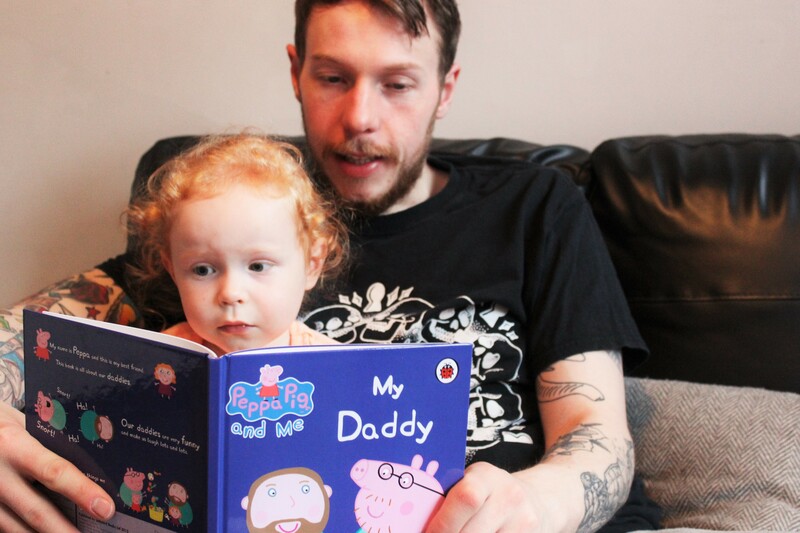 Evie is Peppa Pig mad so we were delighted when Penwizard offered to send us a copy of their ‘My Daddy’ book from the Peppa Pig and Me range. 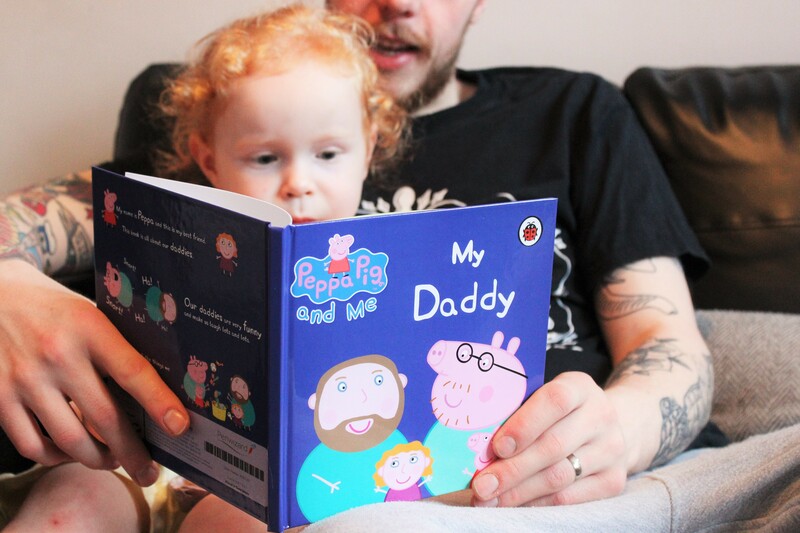 If you haven’t already heard of Penwizard, they make personalised children’s books and there’s a huge range to choose from including Peppa Pig, Ben and Holly and In the Night Garden. They’ve even got potty training books which I think is a great idea, if Evie wasn’t already out of nappies I would definitely get one. You get to make your child the star of the story and customise the way they look, I think we got Evie looking pretty spot on! You can change their hair colour, eye colour, hair style etc. The whole ordering process is really simple and much quicker than I thought it might be. 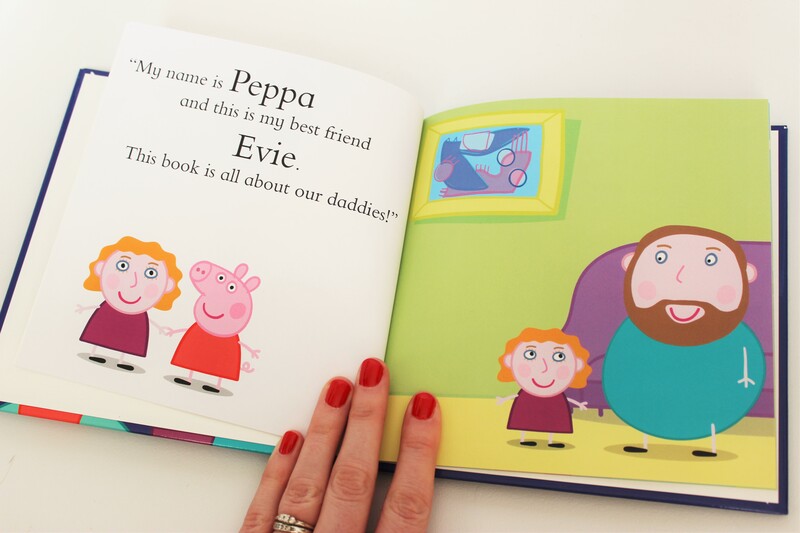 Evie recognised herself on the front of the book straight away and she couldn’t wait to read it. 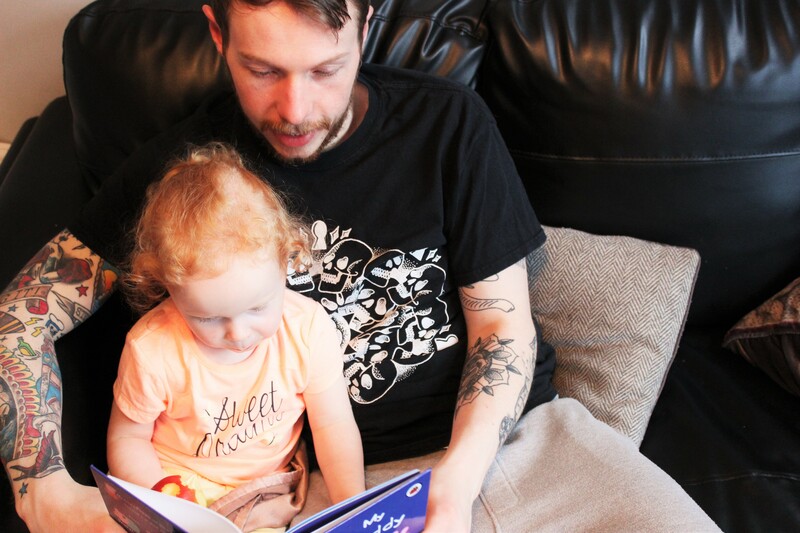 Evie and daddy sat and read the book together later that day and she absolutely loved it. I had thought my order would take a good few days to arrive with it being a personalised item but I was surprised at how quickly it was delivered. I ordered our book on the Friday, it was dispatched on Monday and arrived on Tuesday! Super quick. 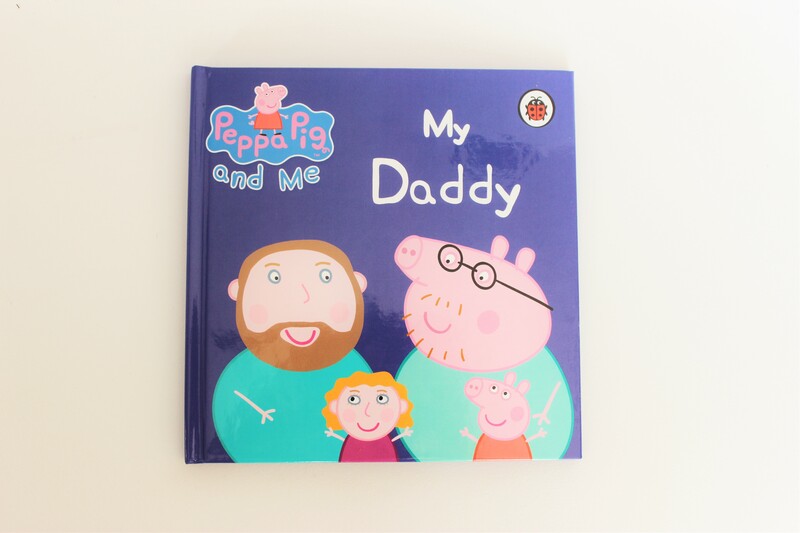 I thought the ‘My Daddy’ book would be the perfect gift for Father Day, which will be upon us before we know it! The books cost £14.99 plus postage, however Penwizard have kindly given me a discount code to share with my readers. Enter PLUSTHREE for £2 off all books. Next Post Am I Autistic Too? What a great present for a little boy I mind. He is Peppa pig obsessed! Thanks. 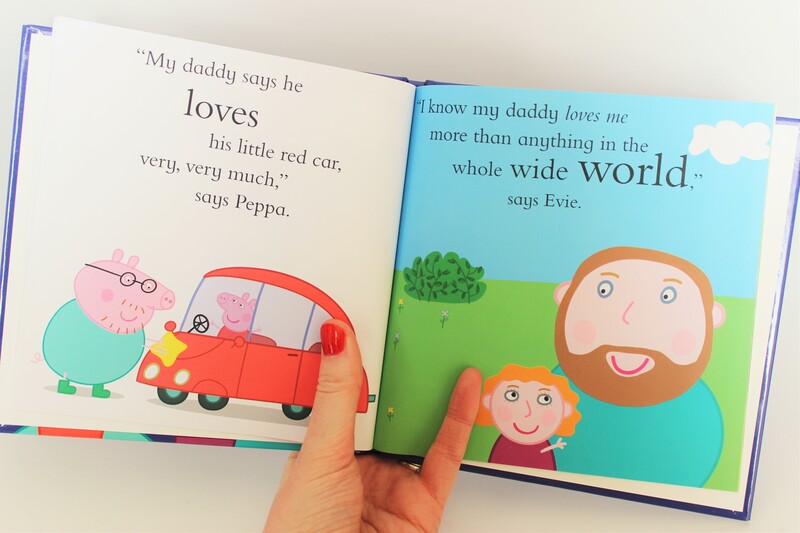 Love the idea of personalised books, my eldest would love the In the Night Garden one. Great review! 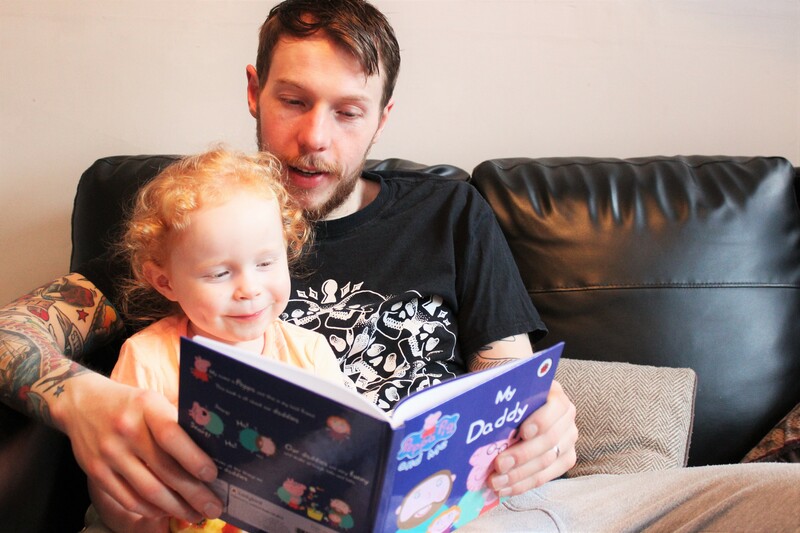 I got one of these last Fathers Day and was impressed even if I was a little grumpy at some of the Daddy stereotypes…The cubs love it and we may have to get a new one to include our new baby. The only other thing I would have liked was if the typeface was in the same Peppa style.